Our Nitelighter Soft Side swimming pool light provides just the right amount of light to set the mood after the sun goes down. 50-watt bulb will safely light your entire pool. Use the built-in timer to illuminate your pool for 3 hours automatically, or over-ride with the manual on/off switch. 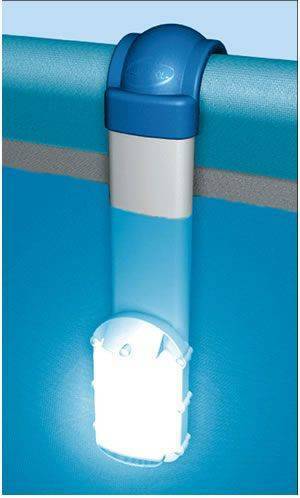 The Nitelighter Soft Side swimming pool light is safe and easy to install without dropping your water level or tying up your return line. 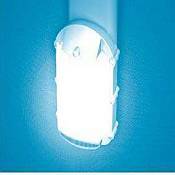 Includes a long-life halogen bulb, stainless steel mounting bracket, and 28 feet of cord. *Same great features as our standard Nitelighter except it installs easily on all soft sided pools.